Monitoring of rooms essentially needs to have camouflaged transmitters, but in most cases no new items can be placed into the room in question. Therefore already existing devices have to be used and equipped with an unobtrusive transmitter. For this purpose, the PKI 2275 is the right solution. 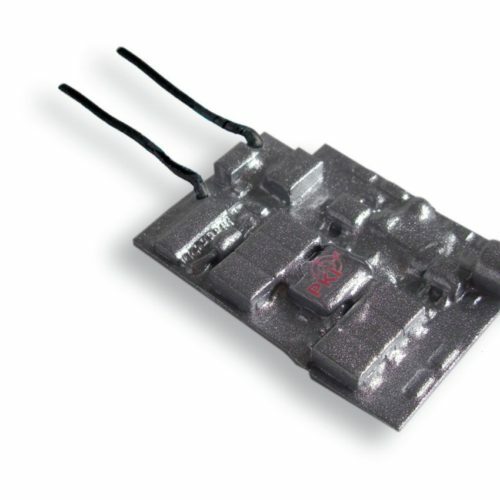 Due to the very small size of this printed circuit board (PCB) mains powered transmitter, it does not need much space and very easily can be concealed in sockets, lamps, junction-boxes etc. Additionally the protective cover with a special lacquer shields from occasionally unwanted contacts and short-cuts. Depending on existing power supply, the PKI 2275 can be supplied either in 110 to 115 VAC/60 Hz or 220 to 240 VAC/50 Hz versions. The integrated microphone of highest sensitivity allows to capture sounds from a distance of up to 10 meters. With its output power of 4 mW a transmitting range of up to 800-1000 meters may be achieved (depending on surrounding conditions). Easy to hide within existing objects like mains sockets, power distribution or lamps, radios etc.